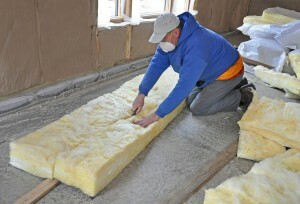 31-W Insulation is one of the best companies throughout Louisville and the rest of Kentucky in terms of efficient, knowledgeable, and caring employees providing the top-notch service you deserve. That’s because, as a family-owned company since 1972, we hold your needs as a homeowner in high regard and have been perfecting our techniques for decades to be able to offer you the superior service that you deserve. In fact, we’ve consistently maintained an A+ rating with the Better Business Bureau throughout the years, a testament to our commitment to total customer satisfaction and an honor that not all insulation companies manage to achieve. Air quality – Old insulation can become damp, leading to rotting and molding, so replacing it can help clean the air inside your home and even protect against allergens. Climate control – Our superior insulation helps minimize the transfer of heat and infiltration of moisture, making it easier to maintain a consistently comfortable atmosphere in your home. Energy use – Because your HVAC system won’t have to work as hard to maintain the temperatures you want in your home, it won’t use as much energy, leading to savings in your electricity bill. Our professional installation crew will ensure that your house in Louisville, Kentucky, is as thoroughly insulated as possible. And, because we install only high-quality insulation materials from companies like CertainTeed and Owens Corning®, you can be certain that your home will be well protected from heat transfer and more. If you’re interested in finding out more about how we stand above other insulation companies in the Louisville, KY, area, contact 31-W Insulation today for a free in-home consultation.